First and foremost, I really want to thank you for your time to get to know more about myself. 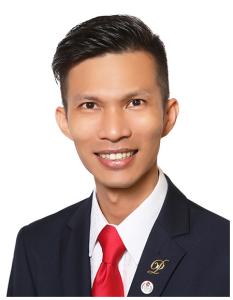 I’m a licensed real estate salesperson (a.k.a Property Agent / Broker) actively involve in Singapore market. I’m 10 years in the industry since 2009 holding C.E.H.A. certification awarded by Singapore Institute of Surveyors and Valuers (SISV). Throughout my real estate career, I have helped over hundreds of clients ranging from individuals, owners, home-seekers and investors transacting different type of residential and commercial properties. For all who have trusted and supported me all these while, my heart-felt thanks for the humble achievements to be among the top producers in ERA Realty Network Pte Ltd (a wholly-owned subsidiary of SGX Mainboard Listed, APAC Realty Ltd). As a Realtor, my main priority is serve to make my clients happy. I always listen to my clients wants and needs to achieve the best outcome in every transaction. In addition, I strive to ensure that the home buying or selling process is fun, easy and most importantly stress-free. My clients can count on me any time of day when they have a question or concern. If you are planning on buying, selling or restructuring property portfolio, please feel free to reach out to me at your convenience. I promise to give you nothing less but the best valued experiences you’ll ever get.